So you’ve got your amazing stretch tent sorted for your upcoming wedding, great - but what next? What else do you need? There are many things that you’ll want to consider and we can help you with hiring a range of items such as flooring, stage and lighting, sound and decoration. Alternatively, here are some of our partners who we can wholeheartedly recommend. Are a small, but perfectly formed family business specialising in handmade, vintage and industrial furniture to hire, alongside floral styling for your big day. Based in Mirfield, West Yorkshire. Have been a vital part of thousands of events over the past 20 years. Supplying high quality crockery, gas ovens, hot cupboards, glass, tables and more - these guys even provide for Hog Roasts! Based in Rossendale. Specialise in professional event management and décor services. Their team of specialist planners can provide a range of different services to help plan, style and create weddings, bar/bar mitzvahs, corporate events, parties and more, providing a bespoke experience for you and your guests - based in Bury. Fancy a Game Of Thrones themed wedding? No. Ah well if you did these guys can supply the props. If that’s not to your fancy they can still provide you with a range of incredible and unusual furniture and props for your stretch tent wedding. Based in Sheffield, Taunton and Glasgow. Toilets may be the last thing on your mind when thinking about planning your stretch tent wedding, but if you’re not using a traditional venue then you may need to use these guys. They are industry leading manufacturers, so all their stock is very high quality. Based in Linthwaite, Huddersfield. Have built up a well-respected reputation for providing temporary outdoor power hire for a variety of events. They hire to major festivals, food and agricultural shows, marquee weddings, corporate events, film and TV crews, AV firms, and outdoor sites. Is a leading wedding caterer in the UK and has been at the forefront of traditional and innovative Pakistani wedding food in the Asian catering and wedding industry for over 30 years. Exceptionally good value. Based in Bradford. Have 20 years combined experience on and off site for major music festivals and events throughout Europe, there isn’t any job their team haven’t done! They can provide bell tents and Moroccan tents for a boutique camping experience for you and your guests. Based in Macclesfield/Bristol. Can offer a unique glamping experience that offers an alternative to traditional camping. Ideal for festivals, outdoor events, corporate functions, weddings and special occasions. Based in Bristol. Collect vintage tents and put them up at festivals, events and weddings so that people can enjoy camping in comfort in beautiful relics of times gone by. 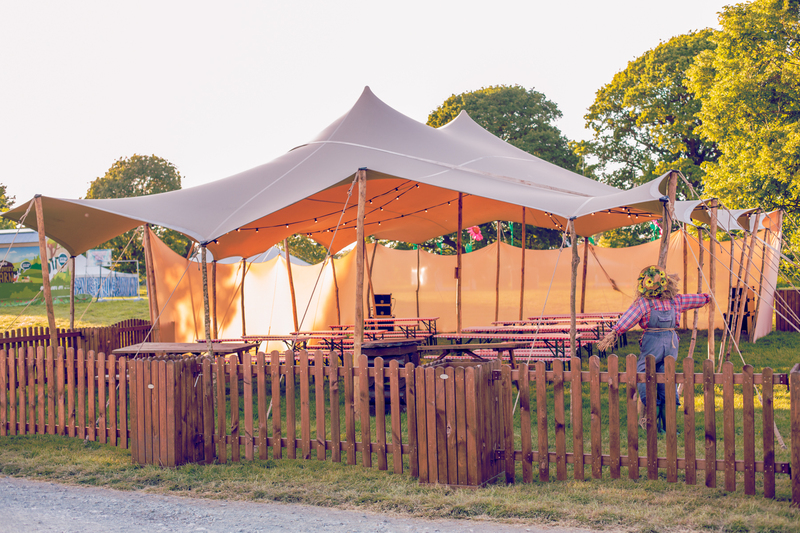 They can provide up to 60 vintage canvas tents, each unique in style and colour. From basic tents to luxury furnishings, they’ve got it covered. Please do get in touch with us if you have any questions at all about planning or organising your stretch tent wedding.